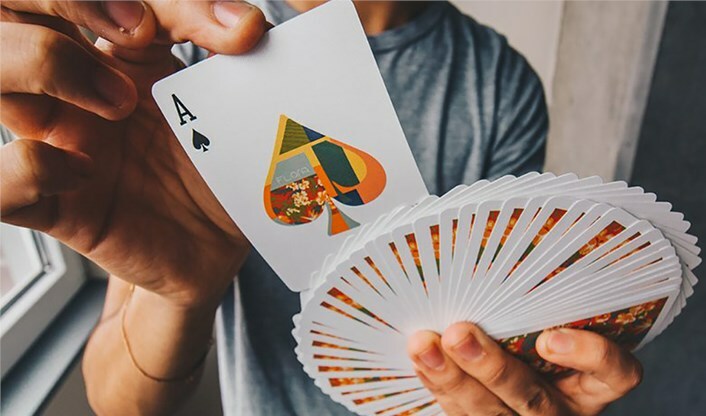 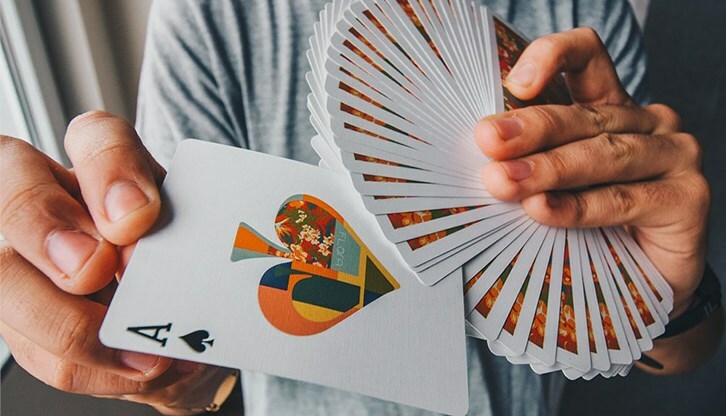 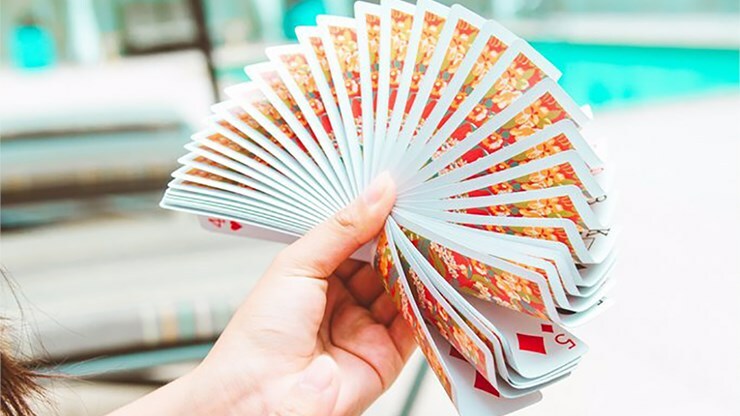 Flora Playing Cards were designed by Paul Robaia, a San Diego based cardist and magician. 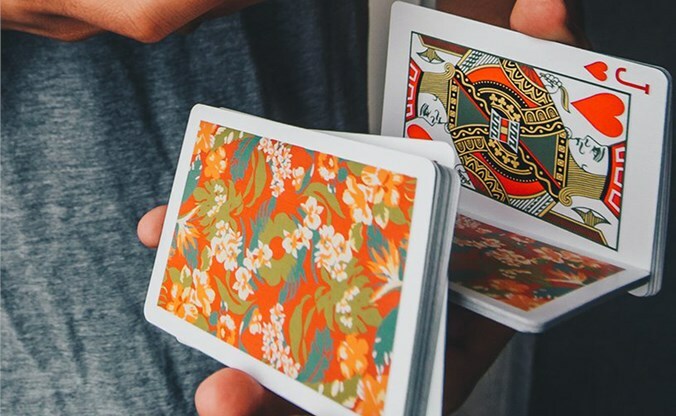 The back features a vibrant, floral design with various flowers and leaves. 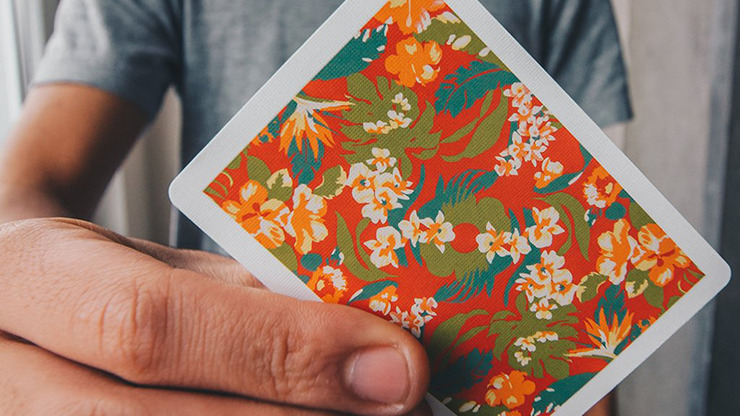 The tropical, colorful design is eye catching, and it is the perfect addition to ones' card collection or to perform magic or cardistry.